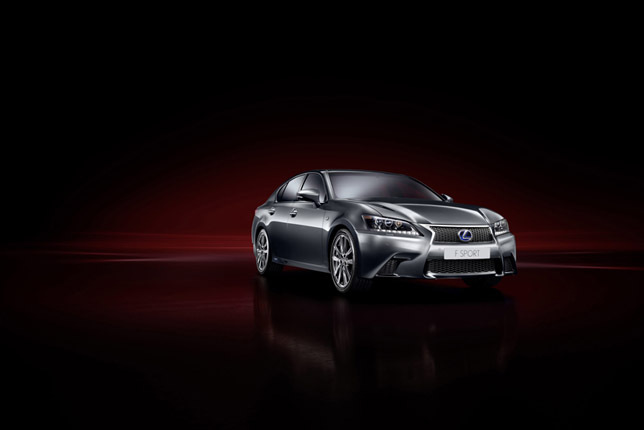 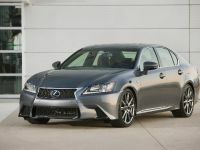 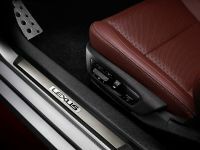 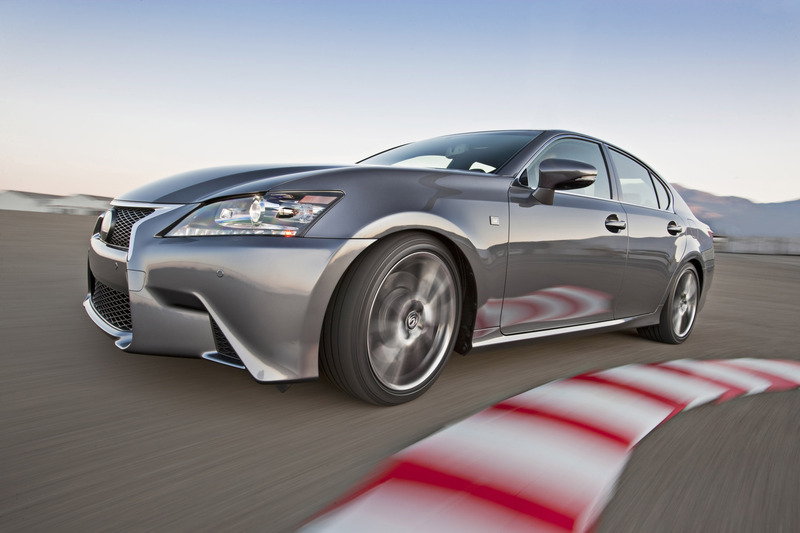 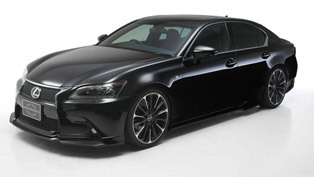 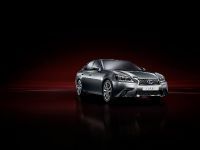 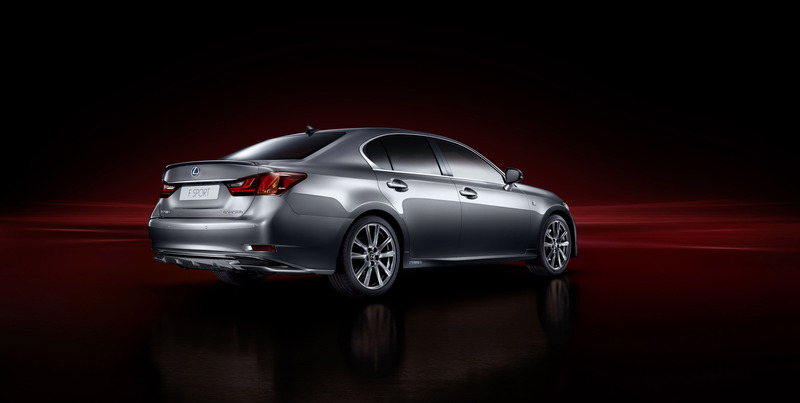 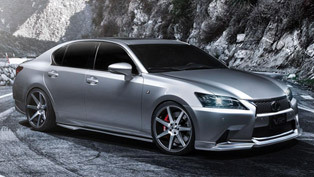 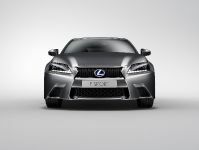 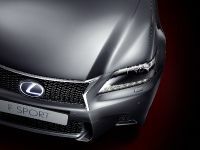 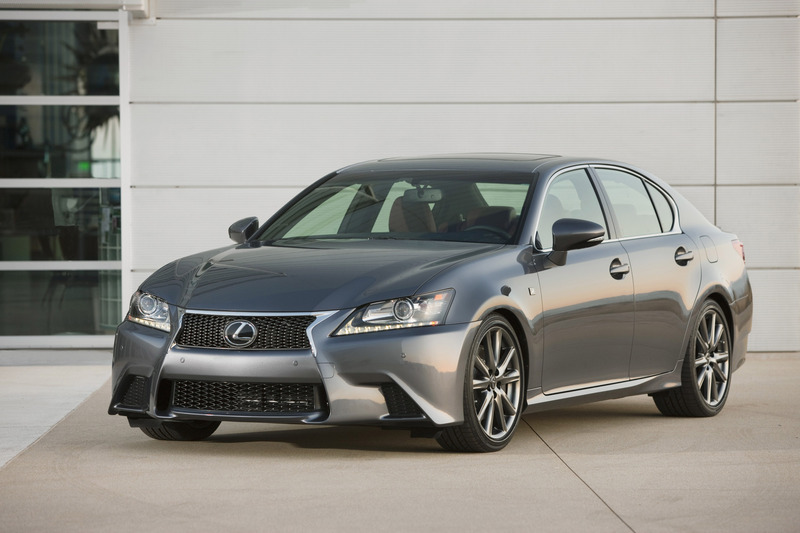 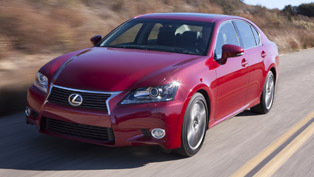 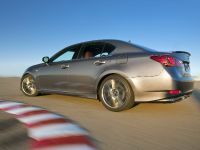 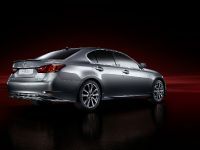 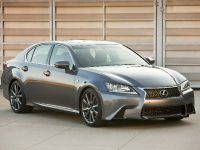 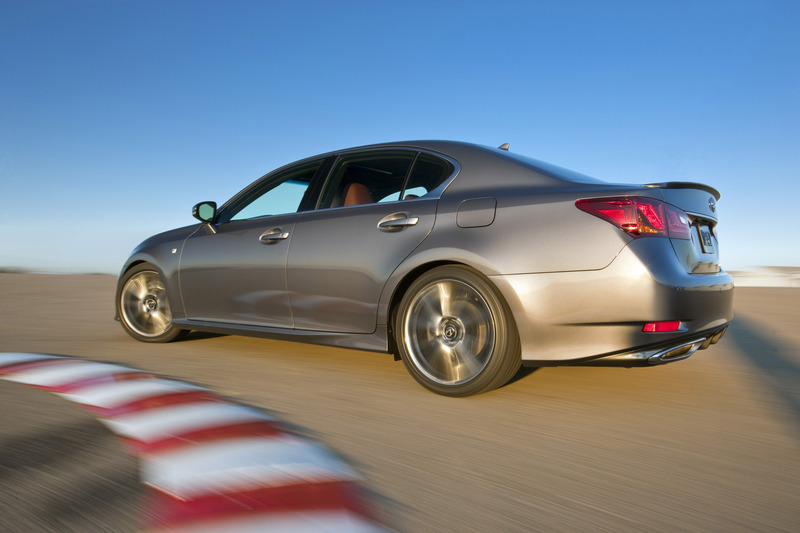 Lexus will exhibit the new GS F-Sport at the 2011 SEMA Motor Show in Lav Vegas, which will be opened from 1st November. 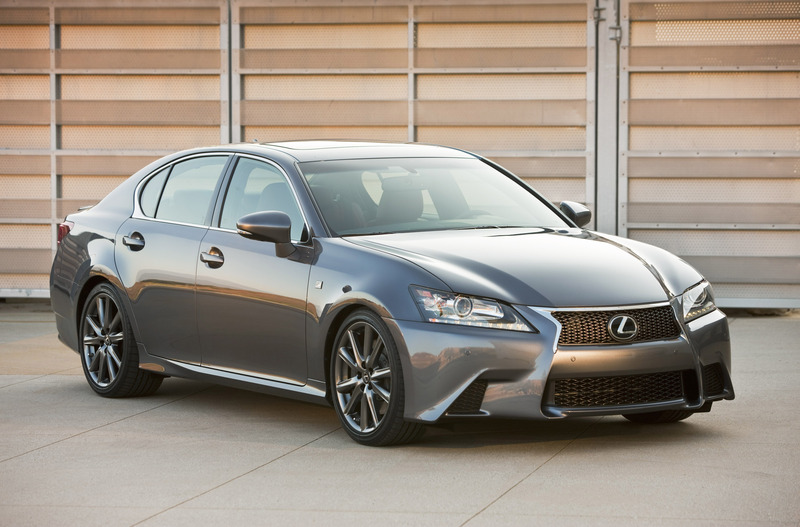 2012 GS F-Sport comes with complete aerodynamics package including a new front bumper, modified side skirts, chrome mouldings, a sporty rear bumper with diffuser and a trunk lip spoiler. 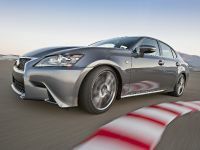 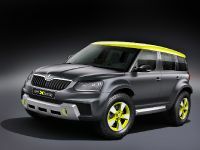 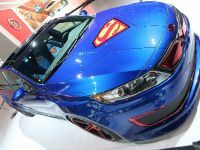 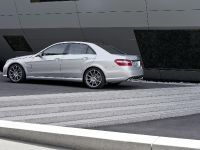 The car also has a wider track and stronger appearance. 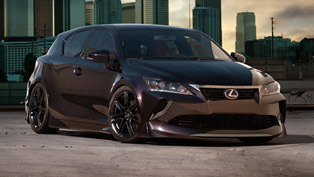 It stands on huge dark metallic finish 19" alloy wheels wrapped in 235/40 ZR19 at the front and 265/35 ZR19 at the rear. 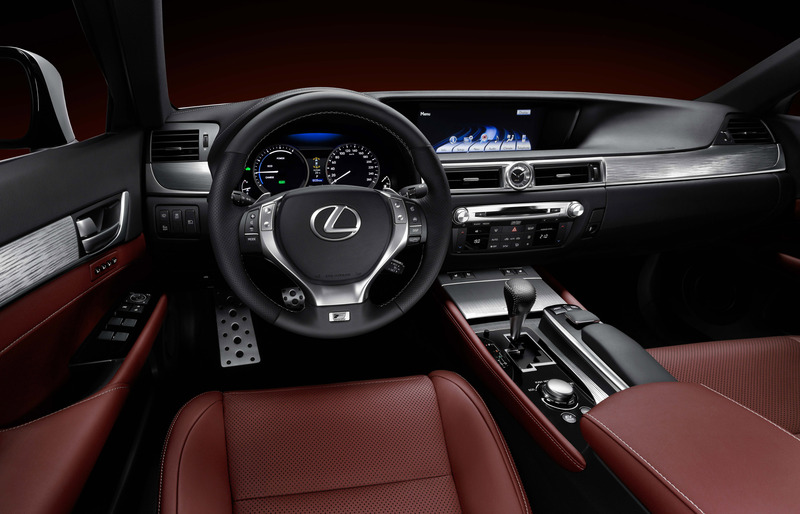 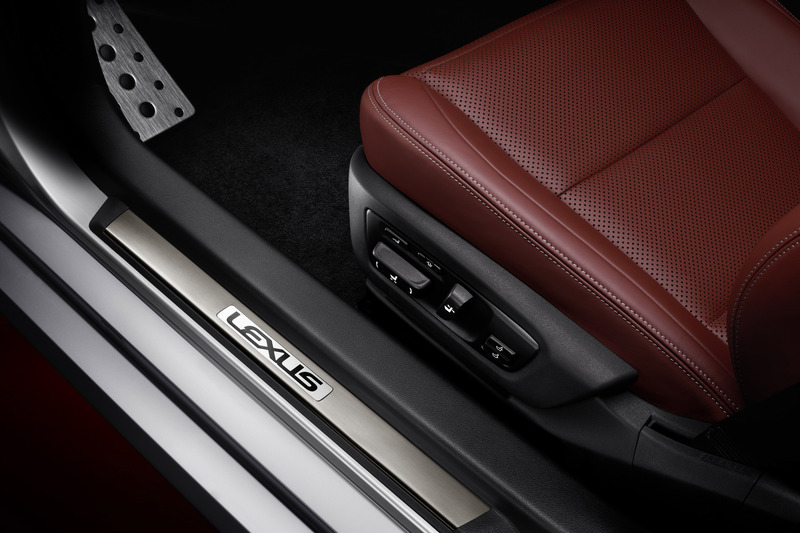 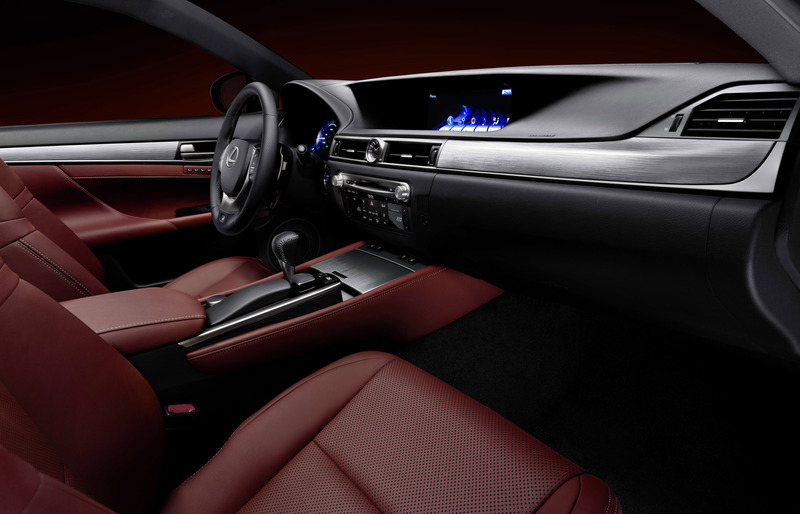 The interior boasts matching door and seat upholstery that will be available in a new Garnet shade that is exclusive to the F Sport. 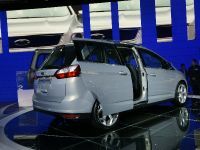 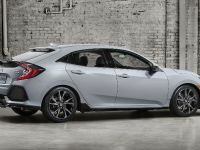 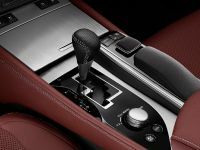 There are also aluminium trim elements, 16-way adjustable F Sport front seats, a black headliner and pillar finish, dimple perforated leather steering wheel and gear knob covers and aluminium pedals. 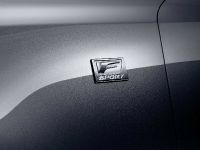 The scuff plates bear the F Sport logo in black and the F Sport badge is also featured on the steering wheel. 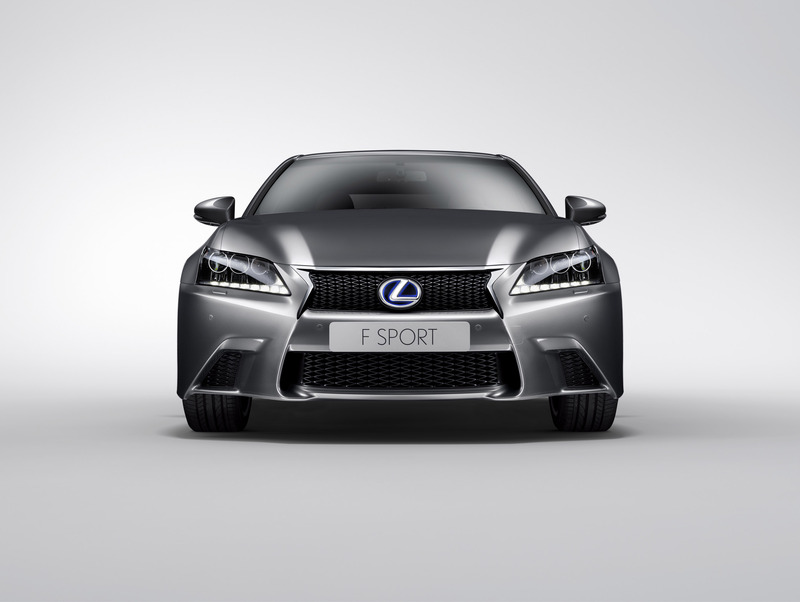 GS F-Sport has Adaptive Variable Suspension to maximise body control and steering response, so improving overall vehicle agility. 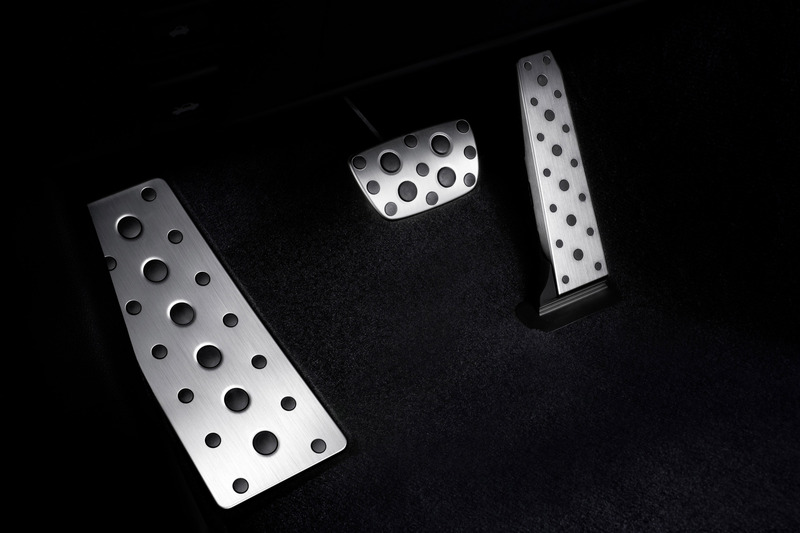 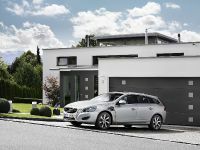 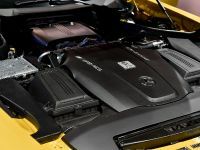 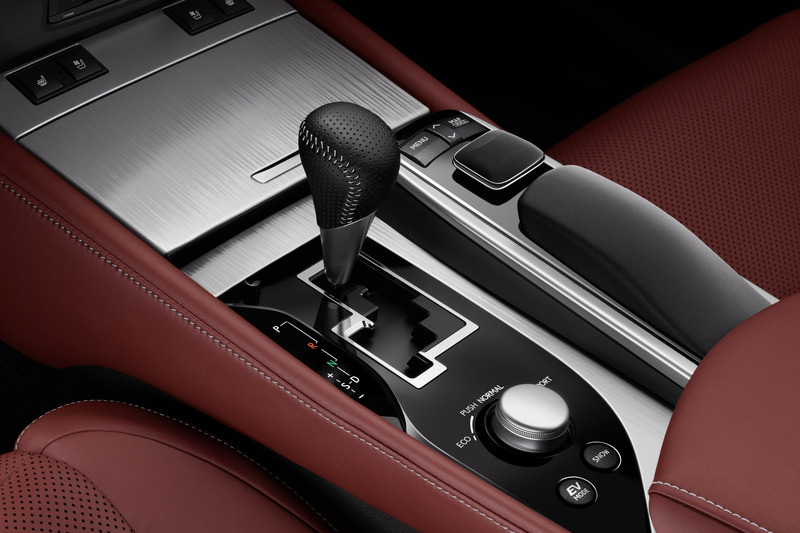 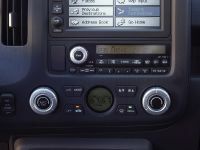 There are two damper settings: Normal, for everyday driving and Sport S+ for maximum performance. 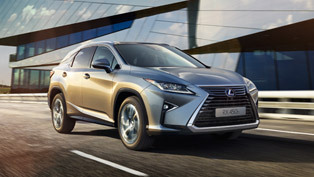 Last, but not least GS F-Sport comes with larger, 356 x 30mm ventilated front disc brakes. 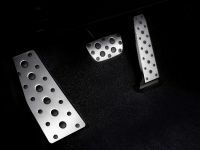 In a world-first design, the hat section of the braking system's two-piece rotor is made of aluminium, which reduces weight and suppresses heat deformation.